This fully loaded North Pacific 52′ Pilothouse with Flybridge has a new family and they are enjoying the Fall of the Pacific Northwest. 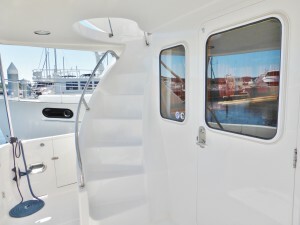 She has a 3 cabin and 2 head layout with very comfortable living spaces including an L-shaped settee on the Flybridge. 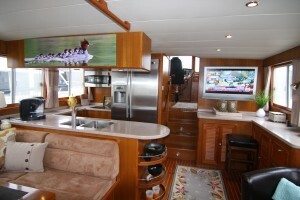 Her Saloon and Galley are comfortable with a lot of storage for a full summer of provisions. NORTH STAR is a (5) time Alaska veteran.